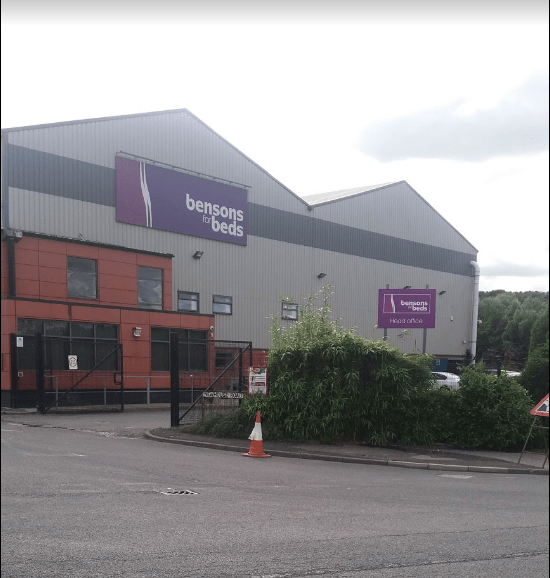 As Britain’s largest retailer of beds, mattresses and bedroom furniture, it’s easy to see why Bensons for Beds would need to focus their efforts on continuous improvement. The company, which is well known nationwide now has over 270 stores throughout England, Scotland and Wales after a merger with sister company Sleepmasters. They are continuously expanding and trying to develop, with another merger in Scotland with Bed Shed. Noted as Britain’s favourite bed specialist, they were originally founded as a general store in 1950, growing to open their first bed centre concept in 1972. This shows that from day one they have homed in on a theme of constant growth. So, when they came to Fueltek for a hand in their fuel management, we were glad to be a part of further progress. Our team set out on the mission to supply not just one service or product, but an entire system, including fuel storage tanks, fuel management systems, tank gauges and reporting software. The operational sites which we supplied the fuel equipment to for Bensons for Beds were in Huncoat, Tewkesbury, Ayr and Lutterworth. Some sites are distribution based while others, such as the HQ in Huncoat, are the main base for transport. The Lutterworth base is a warehouse for products. While all locations offer different services and requirements, they all have one thing in common; they will have fleets coming in and out, delivering and taking items from them. Huncoat is the main transport base and most of the stock and data management is done from there. Due to the nature of their business, Bensons for Beds must keep to certain ethical timber sourcing policies, and in general keep the environment as a focus throughout their business. Linked to their environmental commitments they have a proactive approach to sourcing their timber and are concerned with meeting the EU timber regulations and promoting sustainable wood within their products. Keeping in line with their code of conduct, they aim to build long-term relationships with suppliers that share a common interest and want to commit to minimising environmental impacts through their operations. By using Fuelteks services, they can make sure they are keeping in line with the correct legislation such as ISO 14001. By having an efficient and controlled system, such as our fuel management system, you can ensure reliable fuel data and performance while making sure that their energy and material consumption is as reduced as possible to ensure long-term success of their goals of environmental sustainability. It is vital that this type of large scale business is able to keep track of their stock control and more importantly their fuel management. With trucks carrying products and fleets constantly on the move, keeping track of their fuel has never been easier. Through the efficient use of our products, they are able to store the fuel efficiently and securely, whilst keeping their environmental concerns as a priority. The reporting software will allow them to collect, report and analyse the number which will highlight any issues or concerns earlier rather than later. Fueltek host the software as well as provide customised data and settings which can be accessed easily through any device to the system. If you require one of our expert fuel management solutions, you can get in touch with our team today who will be more than happy to discuss your bespoke solution which will meet you and your business’s needs.